I really thought that was worth including in the card. I have had this digi image a while...sorry-I don't know where it's from. as that was the blue they had used on the invitations they sent out. I did the sentiment on the pc.. and added some pearls and liquid pearls. The diecut came from a friend. Vic, what a super, personalised card - this is what crafting s all about! Fabulous. Hope you're having a great weekend. Just hopping by, happy crafting! What a super stylish card! Ooh, love everything about this, bet they were pleased with it too. What a lovely card! Thanks for joining the challenge at Wags 'n Whiskers! What a lovely wedding card and so personal to the happy couple as well it will mean a lot to them to think someone has gone to the trouble of linking the card to the cycling. I am sure your friend will be very happy with it. 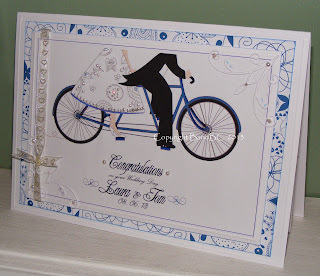 Fantastic card, love the bicycle made for 2 it amost had me bursting out singing lol! What an awesome, personalized card! Love how you've designed it. Thank you for joining us at Digitally Sweet! This is a stunningly beautiful card! 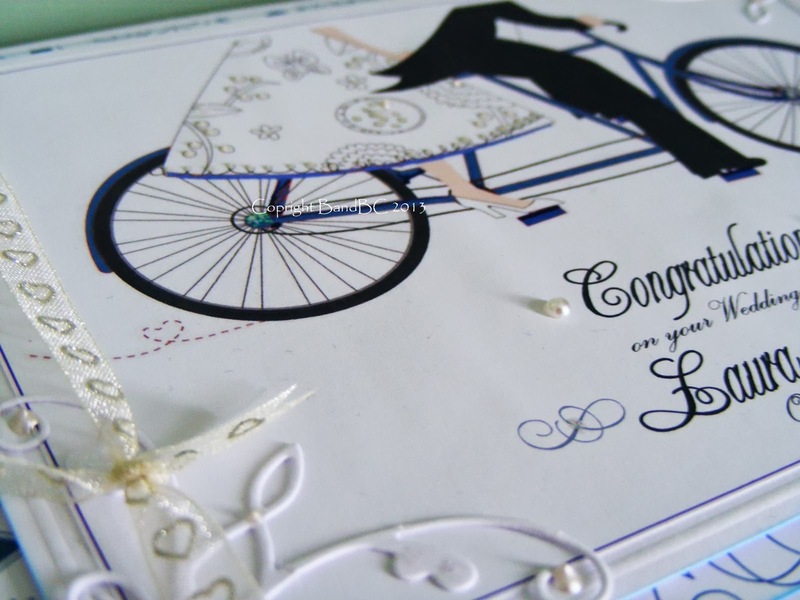 This is a really clever card & so appropriate for the recipients, it's brilliant.